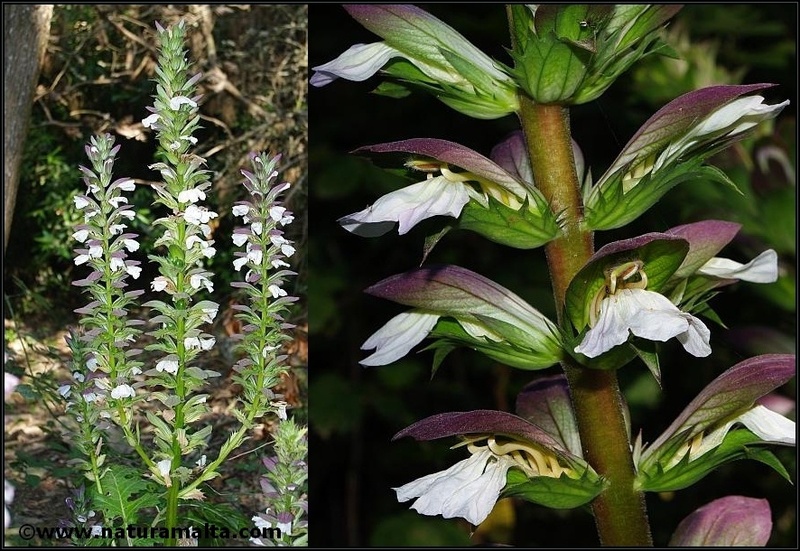 Acanthus mollis is a large herbaceous plant endemic to the Mediterranean area. The plant has a large inflorescence with several white/lilac flowers. The plant is pollinated by large bumble bees, such as the carpenter bee (Xylocopa violacea). The leaves are large, deeply lobed and act as a source of shade to more delicate plants. Flowering occurs in late spring - early summer.